Manchester Storm Hosts Charity Weekender for Home Double Header! These special events are also something we also wouldn’t be able to do without Manchester Storm fans. This weekend all we ask is for the Storm Family to join us and help those in need this Christmas.. This Saturday, the club hosts their annual Teddy Bear Toss. All we ask is that as a spectator, you bring a new soft toy ready to throw onto the ice during the Storm’s first goal of the evening. The bears will then be donated to the Royal Manchester Children’s Hospital Charity the following Wednesday by the players themselves. Please make sure the bears are wrapped up in cling film or bagged up due to infection control. Our sponsors MID Communications, will also be collecting any teddies around the rink this Saturday which are not wrapped and will be making sure they find a home with Mission Christmas! For those who want a good memory or are a new fan to the club, here are last year’s highlights from Storm’s Teddy Bear Toss. Storm faced Patton Conference rivals, Guildford Flames last December and it was Ciaran Long who got the first goal of the evening! For the first time since the Storm reformed in 2015, the club are teaming up with housing and homelessness charity, Shelter on a Hockey Fights Homelessness campaign. Volunteers from Shelter will be around the rink throughout the game with collection bins. Please bring something you no longer want to wear, which can be provided for the homeless this Winter. Alternatively, there will also be a collection for hygiene and sanitary products. Anything from hats, to other warm clothes would be greatly appreciated. These events are not only for very good causes but your chance to help those in need whilst also doing something you enjoy – watching hockey. This is the last chance for you to watch home hockey until Boxing Day. So, let’s pack the shelter, and give back to your local community! 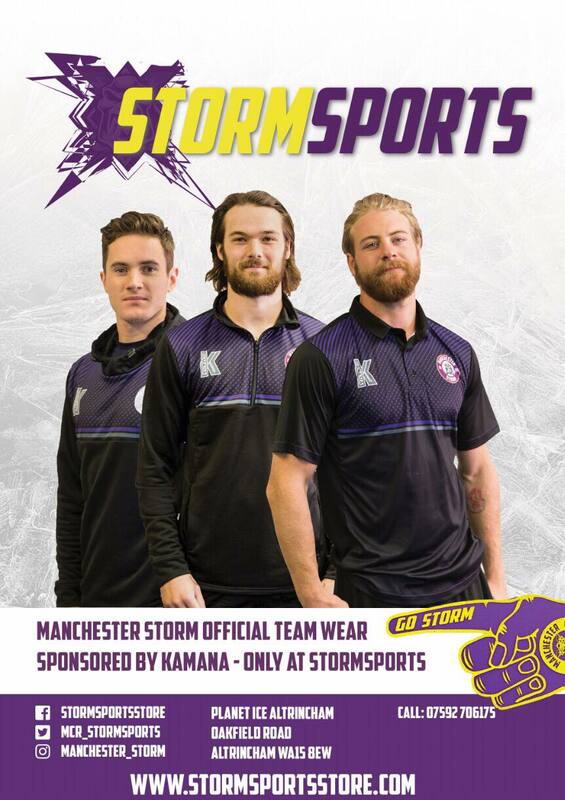 The Manchester Storm OSC are hosting the Storm’s Christmas Party, Tuesday 18th December at Cresta Court Hotel, 19:00 – late. Email [email protected] to book, or visit the OSC desk under block 113 on match nights. Check out their social media for other upcoming events, and book soon to avoid disappointment.